Hello! The Nosh Show episode #36 is now ready for your listening pleasure. We test drove a new liquefied segment which I summarily highjacked because I had already decided that I needed to become more familiar with the world of energy drinks. (Don't worry, we also talk about chips, candy, ice cream, cupcakes... you get the idea). For years and years, I avoided energy drinks like I avoid coffee. Then I tried a can of black cherry kickstart (and his frozen counterpart) awhile ago for the show and it was alright, but not enough to hook me in. Fast forward to a few weeks ago when I sampled Sunny D X for episode 33 and they were all terrible. Yeah, energy drinks are not my thing. But then a conversation started after I yawned in front of the VPs at work. He asked why I dont drink coffee to help keep me going on the tough days. Well, later that day, I was at the grocery store and decide to pick up fruit punch kickstart for a buck and it's not bad. In fact, the day after I tried it, I decided to go all out and try muscle monster (it was gross, you can read more here). I didn't give up though. The next day I try fruit punch rock start energy / punch and it's awesome. So sweet and delightful. It only takes a few sips to hook me and tempt me to chug it. Finally, I have found the one variety that lets me know the true potential of energy drinks... and then I tried plain rock star a few days later and it was horrendous. It's liquidified, carbonated smarties and it's an assault on your taste buds. I tried drinking it off and on throughout the day but eventually gave in and dumped it. I was ready to give up on energy drinks when I decided to have another rock star fruit punch. Oh yeah, I still love this one. So that's my energy drink adventure so far. It's been a few days since I've had one and the good news is that my eye has stopped twitching.... That said, I will (probably) continue to scour grocery and convenience stores for energy drinks that are on sale. At this point I really just need to try full throttle (and NOS)** because I have no urge to try red bull. I know the other Nosh Show guys say the flavored red bulls are relatively better than the original, but blueberry and cranberry just aren't that exciting to me. I'm still afraid and waiting on a massive sale of some sort.... though even then I will be hesitant. I had red bull once a long time ago and it was terrible to me. One or maybe two sips was all I managed and then down the drain it went. Thankfully it was a free sample. **HA! Coke just sold NOS and Full Throttle to Monster. 8/19 Update: I couldn't help myself and tried a grape NOS this morning and I liked it. It's more flavorful than the grape AMP Energy version and very much what I would expect from a typical grape soda. 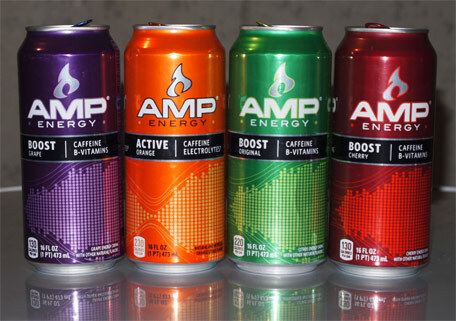 It seems the moral of the story is that I like energy drinks that remind me of other things (grape NOS, orange AMP, fruit punch Rock Star). Heyyy Dubba, great show again as usual. 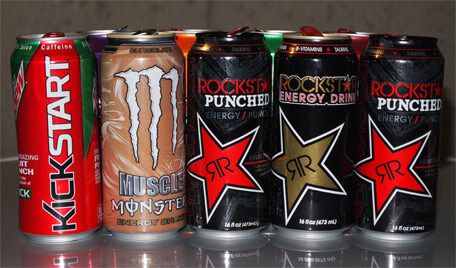 I was really surprised to hear how much you liked energy drinks and thought I'd share my two cents. Rockstar Zero Carb (double strength) is pretty much my favorite. Berry taste, no sugar, one heck of a kick (240mg of caffeine). I really like the Punch too, but it feels like my teeth are melting when I drink it. Another good Rockstar variant is the "Pure Zero", both Punched and Silver Ice are great. With the exception of the Lime variant, stay away from Red Bull. It's generally expensive and doesn't taste good. Monster I tend to stay away from. The basic "green" flavor was always gross and there were too many variations for me to become invested in (the coffee one is vile though). Tried all of the Kickstarts and I prefer the Black Cherry, it's probably the smoothest. The Lime and Orange ones were a little too "chemically". But they're usually $1 or less. And if you can find it, give "Who's Your Daddy" a try, the Green Tea flavor is actually pretty tasty.